With X-Men: Days of Future Past behind us now, the future next holds X-Men: Apocalypse. If you have seen the film, or if not skip the rest of this sentence, the after credit scene gave us a glimpse of young Apocalypse in preparation for the next film. The average movie goer however probably does not know who Apocalypse is, or why the X-Men should be prepared for the fight of their life. A character who was created as a last minute editorial change, Apocalypse has become one of the X-Men’s most powerful foes. En Sabuh Nur was a mutant born long before the X-Men ever took form, 5000 years ago in Akkaba. He was abandoned at a young age due to his appearance, but was taken in by Baal of the Sandstormers, who saw the potential in the boy. It was Baal who gave him his name, En Sabah Nur, and taught him a philosophy that he has live by, survival of the fittest. Long after this, hundreds of years later, he eventually finds Celestial technology that he uses to transform himself even further before putting himself into suspended animation until mutants become more prominent. His power set is wide in range. He has control over every molecule of his body, which he can use to alter his body into any form that he wants such as weapons, have super human strength, connect to almost any technological device, and adapt to a virus or even the terrain. He is able to fire energy and as well as absorb it. During different times in the comics, he has shown brief telepathic and telekinesis abilities. His blood has been found to have regenerative abilities as well to other mutants. While not necessarily a mutant power, he also is a scientific genius. Apocalypse first appearance briefly begins in X-Factor #5 on the very last page. He was introduced as the mutant group, the Alliance of Evil’s leader. He is only shown in shadows, so if you really want the true full first appearance of Apocalypse, you must skip to X-Factor issue #6 as we have here. X-Factor tries to regroup with their latest battle with the Alliance of Evil, whose has taken their mark, Michael Nowlan and his human girlfriend Suzy, back to their master. Apocalypse wants to use Nowlan’s mutant power to increase mutants abilities in special machine that would strengthen mutants around the globe. 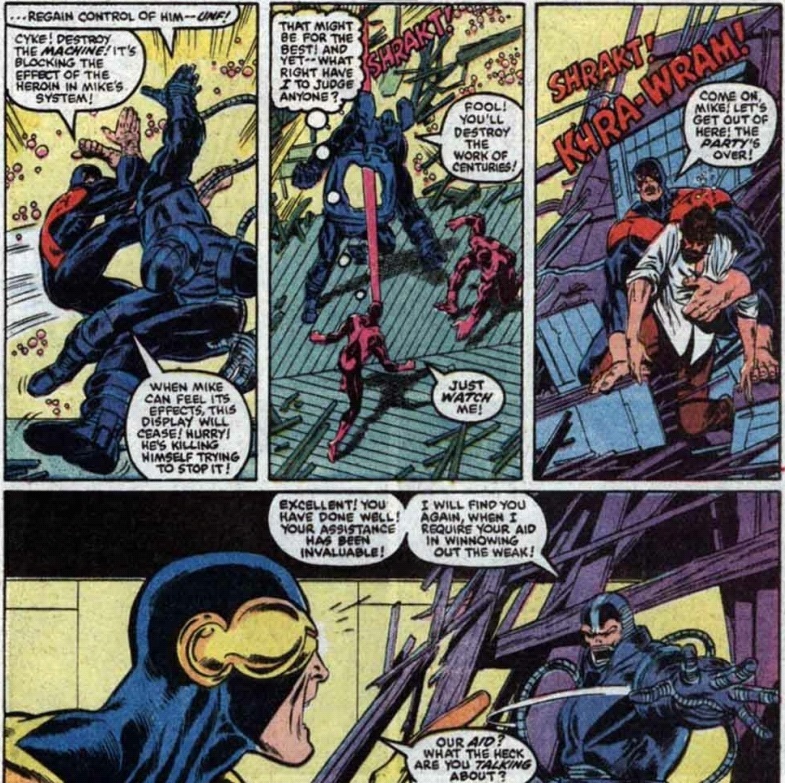 With Nowlan being around the Alliance of Evil, he enhances their abilities, which causes the member Stinger to unleash a burst of energy that X-Factor could see from afar. As X-Factor investigates, Jean Grey and Angel fly ahead inside of the building and our ambushed by the Alliance. Cyclops and Iceman rush to their aid while Beast goes to investigate a side entrance. Inside he finds Nowlan strapped to the machine. Before he can free him from it, Apocalypse finds him and attacks. As the two teams are battling it out, Apocalypse raises a platform revealing himself with Michael in the machine, and a defeated Beast. The machine forces Michael to enhance the Alliance. During the fight his girlfriend Suzy is killed, which causes him to use his power to a greater extreme than ever before which enhances everyone’s abilities to a point that they can’t control. 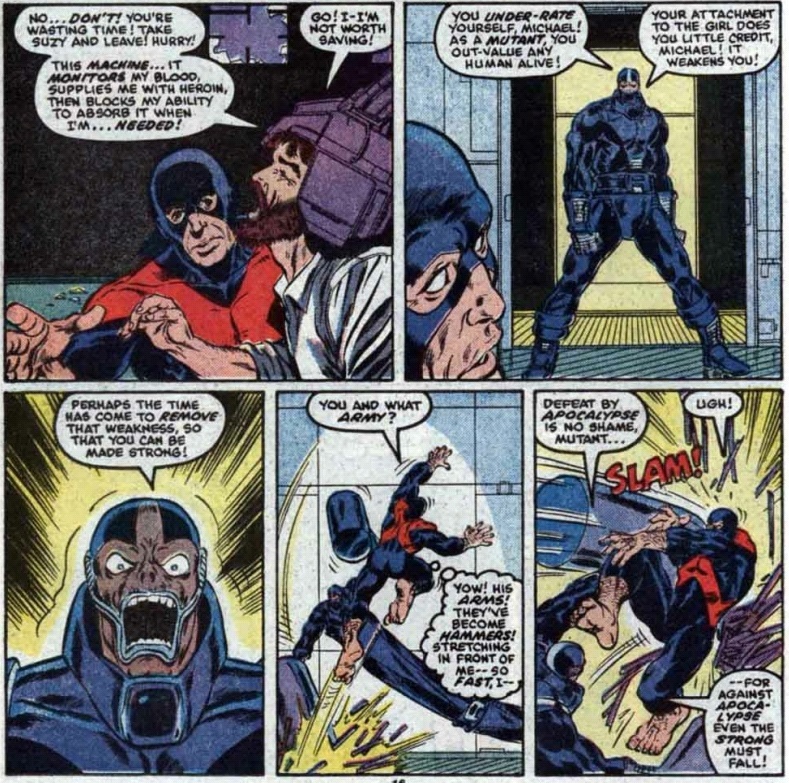 It slowly starts to kill him, so Cyclops is able to get a clear shot and destroy the machine. 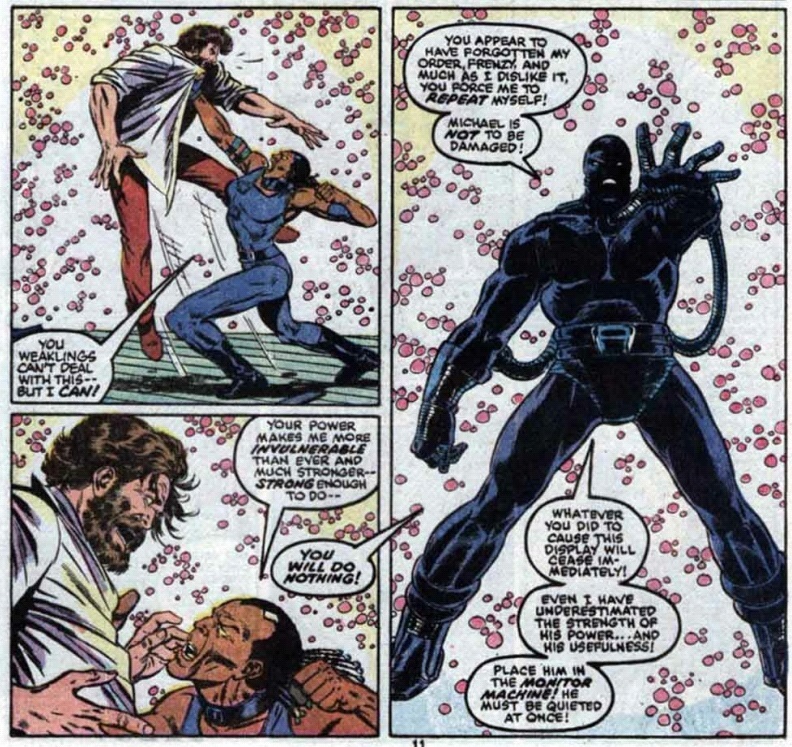 With the machine destroyed and Michael killed, Apocalypse decides to take his leave and abandon his Alliance of Evil. Not before warning them that while they were strong now and won, eventually their weakness would lead to their destruction. Of course this was not the last time X-Factor or the X-Men would face off against this formidable foe. Future appearances would bring his four horseman into the fold, must notably Angel becoming one as Archangel, with even Wolverine and Gambit turning into horsemen at later points. The must read Apocalypse story is Age of Apocalypse where Apocalypse rules the world with an iron fist in a world without Charles Xavier. There are numerous excellent stories that he has been featured in, showing why he is the most dangerous villain that the X-Men have ever faced. The X-Men of the films will have one of their biggest challenges yet from the coming of the Apocalypse.